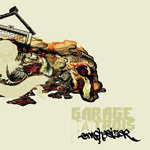 Garage a Trois, a quartet consisting of Mike Dillon, Charlie Hunter, Skerik, and Stanton Moore, recorded Outre Mer live with no overdubs: no small feat given its buoyantly dense sound. 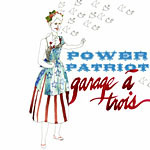 And although the name of the band doesn't quite fit the number of musicians, they combine elements found in each of their solo projects to form a collective sound, something wholly unique. Favoring breakneck movement-inducing funk/groove backdrop replete with punchy horn lines, hand mutes, and swaggering percussion, this soundtrack to Klaus Tontine's film tells the tale of 45-inch Etienne de Nerval and "the lifetime of [this] brave but solitary figure. Garage a Trois even provides a synopsis of this lifetime, so the listener can imagine their own film using the materials provided, ranging from the tallest dwarf being discovered by P.T. Barnum to Merpati and her enormous Indonesian suitor. Musically, the band has evolved, or at least created a more cohesively streamlined sound since its previous release, Emphasizer (Tone Cool, 2003). Dillon in particular is a major factor, commonly contributing figures upon which everyone elaborates. "Outre Mer, which opens the album, is a prime example where Dillon creates a bed that Hunter weaves in and out of, sounding akin to a balafon or kalimba. Skerik, whose profile has been steadily rising, contributes his own idiosyncratic phrases and continues to impress, working in the same space as Karl Denson but with more variety and vigor. The album flows with a constant groove that should attract a great deal of listeners, but it's complex and thoughtful enough that it deserves a detailed listen as well. And even though it may be a soundtrack, the songs are nowhere near the background music most often associated with the genre. Each composition contains themes, development, and invigorating solos. 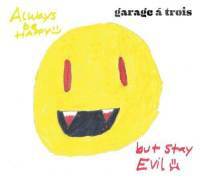 In fact, Garage A Trois projects such a strong sound that one could rightfully wonder how the music would meld with a film without overpowering it. Tontine (a term defined as an annuity that increases every time a participant dies, with the entire fund going to the final survivor) is purportedly having troubles releasing his "understated cinematic masterpiece, according to Telarc's press release. However, no other information can be found on the film, company, or director who approached the band in 2004 when the movie was only "an idea in his head." Needless to say, he works quite efficiently. The packaging mimics the common layout found on movie posters, and the band's web site references the red tape that has kept the film from being seen by anyone save for a few critics. And quite possibly this is all true. But you have to wonder how seriously to take all this when you visit the band's web site and come across Garage A Trois' "industry decision on how to save the economy. Either way, the music speaks for itself. And when "The Dream comes along with its floating vibraphone backdrop and searching tenor, it is perfect for dreaming of that distant shore and a dwarf and his dramatic life-long story. Track Listing: Outre Mer; Bear No Hair; The Machine; Etienne; Merpati; The Dream; Antoine; Circus; Needles; The Dwarf; Amanjiwo. Personnel: Mike Dillon: percussion, vibraphone; Charlie Hunter: 8-string guitar, pandero; Stanton Moore: drums, polyrhythms; Skerik: saxophone.